This card has been made hybridally (? 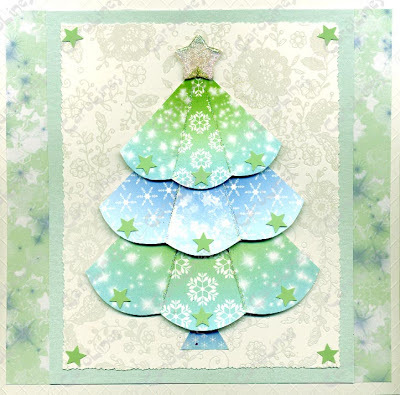 )...the tree was made in CAP2 and then 'deconstructed', printed on to card and then the design put together by hand. The tree has depth by angling the segments with silicone rubber glue. 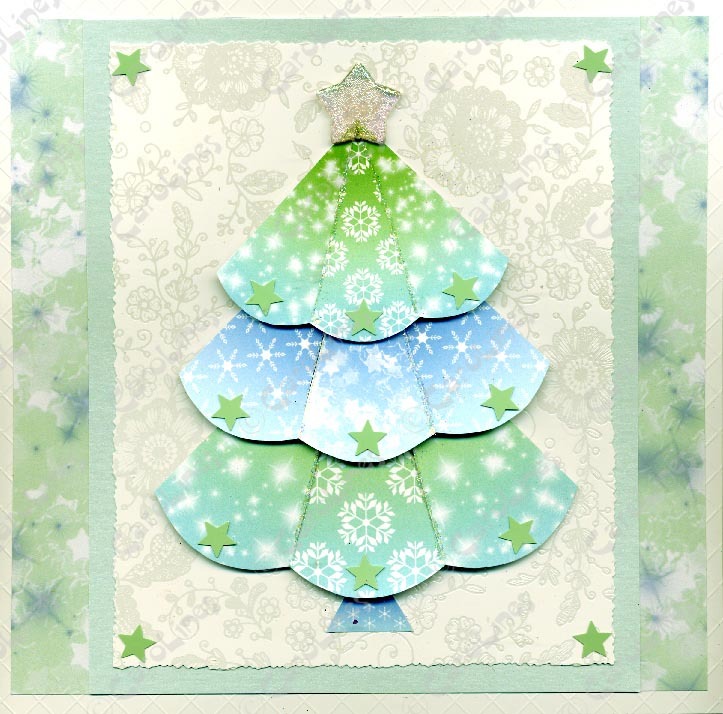 The green background paper is from the digikit and by happy accident I found some mint coloured sequin stars!